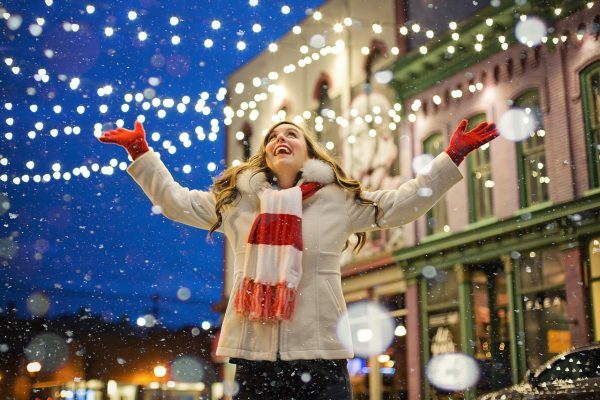 This article will discuss ways to saving money for Christmas spending. If you like the article, please consider sharing. Enjoy! When it comes to the holidays, the average American will spend $885 this year on Christmas gifts. It’s no secret that this is the highest buying time of the year. The most troubling part of this is that many people don’t have the funds for all the purchases they are making. In a Magnify Money survey, $1054 was racked up in holiday debt last year and only half of them planned to pay it off in less than 3 months. 29% said it would take longer than 5 months to pay it off. Instead of starting the new year on the strong financial foot, people seem to be digging themselves into a deeper hole due to the lack of planning. If you are looking to forward to saving money this Christmas so that you don’t HAVE to resort to using a credit card, look no further. All you need is a plan. 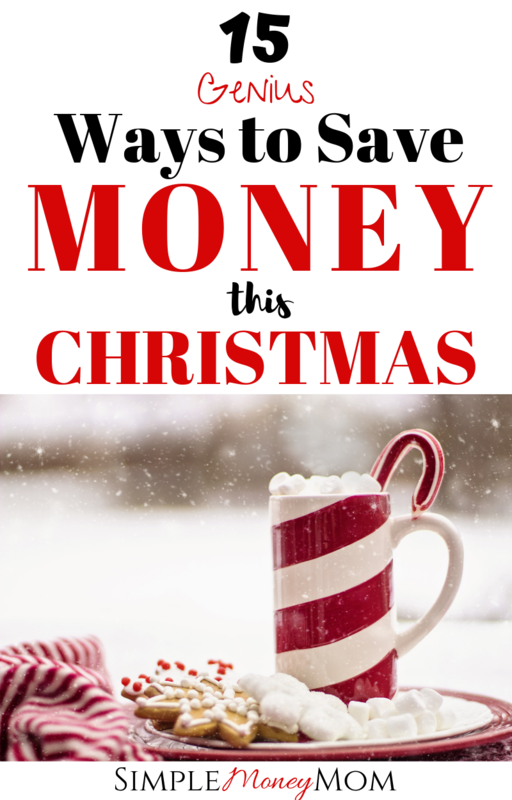 Below, you will find actionable tips and tricks that will allow you to save thousands and still be able to make Christmas magical. First, the most important thing is to set your budget. Look at your finances, I mean take a cold honest look at what you have to spend. Do you have a Christmas fund? If you don’t, I highly recommend you start one starting December 26th and start funding that bad boy every month. Even if you only have $8 to spare, put it into savings. You will be so happy you did come November/December of the following year. My personal budget can range from $500-$1000 depending on if I will be working the holiday or not. If I am not working, I tend to go to more Christmas parties and therefore, bring more gifts. If I do work, I don’t go to any parties and my gift giving is restricted to my immediately family and maybe some family gift exchanges. This year, I’m aiming for $750 to challenge myself. It sounds stupid simple but seriously, write it all down. Did you know that by writing something down, your percentage of retaining that information increases to about 70%? Write down every person you are planning to buy a gift for. Don’t forget the gift exchanges. PRO TIP: Opt for family gifts like Movie night baskets or Game night Baskets instead of individual gifts to save money on Christmas shopping. Next to each name, write 2 or three gifts that you think that person or family would like. The reason for writing 2 or 3 gifts as opposed to one is because if your gift is sold out or not available, then you will be left stuck finding a last-minute gift. We all know that last-minute gift shopping can be expensive because the deal is over so make sure you have a back-up. I like to start with writing gifts for the people that will be the most expensive then work my way down. Pro tip: Sometimes, multiple small gifts can be more frugal than one large gift. What happens is, if you buy one large gift, you may find yourself buying more small gifts anyway because you think that one gift is not enough. Don’t fall into this trap! A lot of the time, less is more. Next to each gift, do your research to find the lowest price for that gift. Write it down. Write where the lowest price is and when that deal ends. This is really important so you don’t miss the deal! Once you have your prices next to each gift. Work it like a puzzle. This is actually my favorite part. (I’m weird, I know). Figure out which gift will fit in your overall budget. You may have to switch some gifts around or even chose a different gift. So you have your list of people to buy for, you have your list of gifts to get, you have your prices and where to get them. Now you’ll need a play-by-play game plan. It helps if you have a teammate but if you don’t, it’s not the end of the world. Figure out if you’ll need to go early to any stores for “doorbuster” deals. In this case, you’ll want to go there first. Then, get your map out and go to the next closest store to minimize your time shopping. If your store has online deals, then opt for that instead. It will limit your temptation for impulse buying. If you are going out to the stores to shop, make sure you are well fed before hand. There is nothing worse than an empty tummy and a long line. And if you tend to buy things when you are stressed, it’s a BAD combo. Make sure to bring some hearty snacks like granola bars or Cliff bars or whatever you fancy. I actually avoid Black Friday shopping because I have no desire to wait in long lines or fight for the latest trend. I like to do my shopping from home where I can relax in my PJs. I tend to be a Cyber-Monday kinda gal. But, some stores are making the in-store deals so awesome that sometimes you don’t have a choice but to go to the store for the best price. In that case, take a few deep breaths before you go in the store. 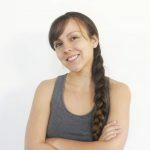 If you like to avoid crowds like I do, simple breathing techniques can really make a difference. May contain affiliate links. Please see my disclosure for more details. Did you know that you can purchase discounted gift cards for places like Walmart, Kohls, and Best Buy? If you were already going to spend $100 there, why not save an extra $5-10 buy buying discounted gift cards? Go to Raise.com to search for discounted gift cards that you know that you will use. PRO TIP: Buy a discounted gift card with a cash back card. Use it in conjunction with a cash back site and triple your savings. Ebates is a cash back site that searches for coupon codes for you to be able to use for most retailers. In addition, Ebates gives you cash back when you purchase something through their site. As long as you start in Ebates, you are free to visit a merchant’s site through Ebates’ link. Your cash back will be rewarded to you after your purchase is complete. Honey is another cash back and coupon code site that you can use. Sometimes, Ebates and Honey differ in the percentages they are able to give back. You get to control which one you use. Honey might a better coupon than Ebates and save you more money in the end. Or vice versa. ShopYourWay used to be an exclusive point system for Sears and Kmart (both slowly going out of business and phasing out). However in the last year or so, SYW has added multiple other merchants like Under Armour, Carters, Sephora, and even Uber. Between the three of these sites, you’ll most likely find the best deal and cash back offer. 10. Don’t forget to mail-in those rebates! I can’t tell you how many times I’ve heard people complain that they missed out on the actual savings because they forgot to mail in the rebate. Make this a priority immediately after you get home. Paribus is an app that tracks your purchases, then refunds you if the price drops. Not only do they monitor large retail stores, they also monitor hotel bookings. If the price drops by $100, you get $100! Plus, it’s a FREE app! If you have a cash back credit card, use it make purchases on cash back sites to double your savings. Just make sure to pay off the credit before the due date to avoid interest fees and to make sure you are not putting yourself into debt for the holidays. DIY gifts can save you a lot of money, especially if you create bulk gifts. Some homemade hot cocoa ingredients in a cute Santa jar, a dozen of tamales wrapped up in a fancy snowman case, or even a yearly birthday calendar for grandma can mean much more while you are saving money this Christmas. If you have a service that you could gift for Christmas, then you could save some money for Christmas. Maybe you are a photographer that could gift a mini-shoot for a future time. Perhaps you have a cleaning service that you could gift to a family member for a one-time cleaning. Or maybe you are a mechanic and could gift oil changes? Think outside of the box and if you could offer your time and service, then you’ll be able to save. Do you have a toy that is still in the box? Clothes with the tags on? Appliances that you never opened? Think about if you will make use if the item in the future. Chances are, if it has been more than 6 months since you’ve even opened the product, you won’t miss it. It could make the perfect gift for someone else. Just be sure not to give it back to the person who gave it to you. That would be bad. Don’t be bad. You don’t have to give EVERYONE a gift just you used to in the past. The Holidays should be about being with family, enjoying each other’s company and being present. It shouldn’t be a contest to see who gives the best gifts or who outranks in the amount of gifts. I broke up with the Joneses a loooonnng time ago and you should too. It’s not a competition and you don’t know how broke the Joneses really are. There are tons of ways to save money for Christmas this year. You don’t have to be part of the statistic. You don’t have to go into debt to make the Holidays special. Simplify your life. Simplify the Holidays. Be present. If you enjoyed this article, please consider sharing it with someone you know would like to save money this year. Or comment below on how you plan on saving money for Christmas this year. This year I’m gonna try not to spend too much. I’m baking goodies to give to my friends. This year I’m just buying gifts for the kids. Some great tips here planning and researching is definitely the key and not making any last minute panic purchases!! I have got all my presents more or less organised early this year to avoid any last minute spending traps.